Pictured from left to right are Robert Falloon, Tim Morgan, Alan (Pud) Williams and Noel Rawlings. 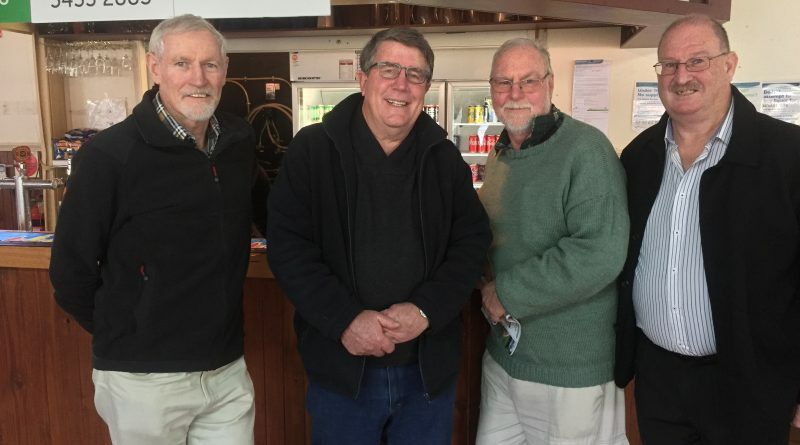 Woodend Football Netball Club hosted reunions for three of the club’s former premiership sides on July 7 – from 1968 (50 years), 1978 and 2008 – and a great day was had by all. 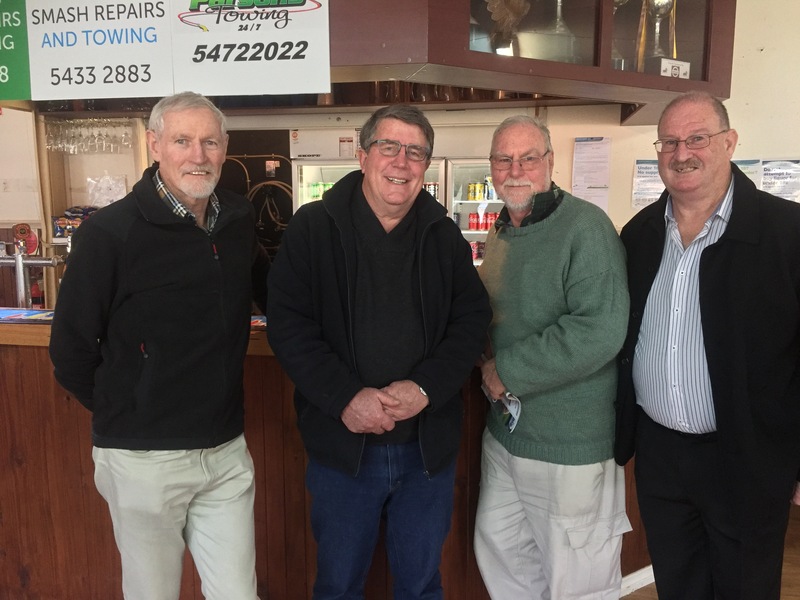 Pictured from left to right are 1968 players Robert Falloon, Tim Morgan, Alan (Pud) Williams and Noel Rawlings. 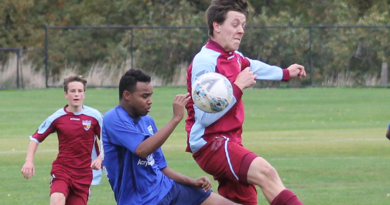 Williams was the coach in 1968 and was only 18 years old, he also coached the 1967 side who were runners-up that year. 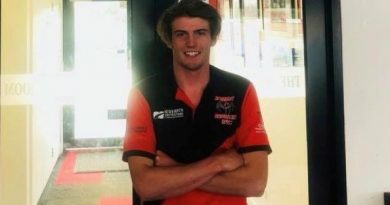 Nathan Blair is returning to play with the Redbacks next season. 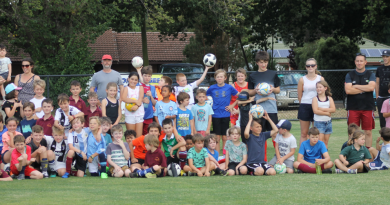 Kyneton District Soccer Club's successful mini-roo's program wrapped up on Thursday night with a number of games followed by a barbecue and presentation.